Talent Propeller: NZBusiness looks at the impact online technology is having on the recruitment market. 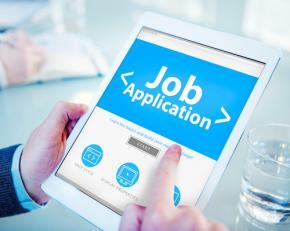 NZBusiness looks at the impact online technology is having on the recruitment market. One of the unheralded benefits of the migration of recruitment online is the massive amount of information readily available at highly-competitive rates. It’s an essential factor when it comes to growing the intellectual capital of your business. It would almost be fair to say: if you recruit the wrong person, at the wrong cost, in this new environment, you have nobody else to blame. Basically, it means facts supplant opinions. “It’s a classic example of one of the many opinions we hear about pay,” he says. “Ignore it. Decisions on pay are far too important for us to be distracted by such drivel. The latest New Zealand HR Metrics Report, published by Strategic Pay, showed the average cost to hire for organisations in New Zealand is $3,198, while the average time to hire is 40 days. Today, average total salary costs amount to between 17 to 54 percent of total revenue for local companies and organisations. So where does McGill put the cost of getting a recruitment wrong? Salary policy – No matter how big or small your organisation is, you need to understand where what you currently pay fits in the marketplace. This tells you your candidate’s expectations; helps you decide what you can afford; and what is reasonable. Internal equity and relativity – Keeping the balance between what you are offering and what others in the organisation are getting is very important. The temptation to pay low in hard economic times (candidates are cheap) and paying high in boom times (candidates are expensive) will usually lead to internal issues of unfairness. In more moderate economic times (today for most, but not all, sectors) it should not be an issue. Be careful of capitalising during these latter times – markets generally recover and you’ll be left with a disengaged workforce, probably looking for real remuneration elsewhere. Your current general offering – What are the other benefits you provide, over and above pay? What are they worth? Why are they important for your organisation and in attracting candidates? We note that many organisations in the relatively low paying Not for Profit sector have very flexible working conditions, an important consideration for some employee groups. Simon Oldham is GM of QJumpers, a local recruitment software and services company with strategies that, he believes, have changed the local ‘recruitment game’. These include New Zealand’s first online talent pool designed to help industry ‘cut out the middle man’, and unbundling the recruitment process, radically changing the pricing model and bringing it all online. “People who don’t recruit staff very often have no idea how time-consuming and frustrating the process can be,” he explains. “The truth is, a lot of the time-consuming tasks of recruitment can be automated without reducing the personal touch or quality of hire. “This is not news to large corporates; they have been using recruitment software or applicant tracking systems (ATS) for years. It allows them to post vacancies to multiple jobsites at the same time; automatically acknowledge all applicants; easily find the best applicants; arrange interviews; and store the best applicants for future possible roles. According to Oldham, the cost of these recruitment software systems has come down dramatically over the ten years QJumpers has been in business; mainly due to cloud-technology and the resulting increase in suppliers. This has meant that medium-sized businesses can now justify the cost of implementation and monthly licence fees. “We’ve gone a step further, however, and completely disrupted the traditional recruitment market – offering a low cost, pay-per-job recruitment management system which is perfect for SME budgets,” says Oldham. “QJumpers also offer ‘unbundled recruitment services’ on top of the pay-per-job technology, which means SMEs now have access to the same level of recruitment technology and services as the large corporates. What impact has technology had on the process of recruitment, in Oldham’s view? “Applicants want a fast and easy process where they can apply from their mobile devices, on-the-go – either through an app, social media or mobile optimised website. They want to know why they should choose your company; employment branding is very important so a great careers’ website, and strategy, is crucial. From the employers’ point of view, the focus has changed from wanting lots of applicants, says Oldham. “Managers want more data – data for everything. Where did my applicants come from? Where did my best applicants come from? How long did it take? How much did it cost? How many vacancies were created this year? Which business unit is falling behind? “Now companies are looking into the future; how many people will we need?” adds Oldham. Sharon Davies, MD of both Talent Propeller NZ and Talent Propeller Australia, firmly believes her company to be “the lowest cost e-recruitment provider”. All software is designed, programmed and built right here. Talent Propeller developed an off-the-shelf solution for businesses which can plug into an organisation within 24 hours. It is easy-to-use, easy-to-run and easy-to-see immediate results. She sees more disruption in the offering too. “I believe ads will stop being placed in third-party media, such as Seek or newspapers, and companies will utilise tools enabling them to search databases based on skills. “Attitudes will shift from the current belief of ‘what jobs have you done in the past, because that tells me what job you can do in the future?’, to ‘what competencies and skills do you have that suggest you can do this job?’. Simply put, technology makes hiring more effective, faster, easier and with reduced costs, says Davies. “If people are still managing job applications via an inbox or, ‘shock-horror’, by post, they need to get with the times. Technology, in the way of candidate management systems, is a lifesaver to manage applications quickly and efficiently. Davies strongly advocates “working with a platform which enables companies to put all candidates through a skills or aptitude test as part of the application process”. “That way you’re not just relying on previous work experience to make a judgement on whether someone is right for a position. This provides a three-dimensional view of each applicant and enables companies to truly assess their suitability. She is adamant that selected technologies provide you with flexibility and don’t lock you into one channel. According to Peter Osborne, head of Trade Me Jobs, Wellington City is consistently the highest paid area in New Zealand, with an average salary of $75,484. Osborne says each week traffic to Trade Me Jobs peaks on Monday morning. “The immediacy and desire to find the right role means our job-seekers have the opportunity to look when and where it suits them, not when the newspaper gets delivered. “We’ve proved the digital era has created greater opportunities for the workforce, beyond their local paper. Kiwis are able to search for jobs nationwide in ways they never could before and we know from our own research that 45 percent of Trade Me Jobs users would relocate for the right role. So what changes does one of the original disrupters see on the horizon? Osborne again: “We see the future of our industry revolving around personalisation. This means our job-seekers will provide very specific information on what they’re looking for and be connected with employers which match their needs. He also sees “the rise and rise of mobile”. “For us that means job seekers will spend more time looking for a new opportunity on the bus, in a meeting or on the couch. Gone are the days of everything having to be done on the old desktop computer when most of us now have one we carry around in our pocket. Osborne points out that in a professional capacity, mobile (including the tablet) are disruptive in that they’re starting to blur the lines between work and home. “People carry their work in their pocket and are finding it harder to disconnect. It’s something that employers are going to have to grapple with soon to help their workforce gain that all important work/life balance,” he says. Talent Propeller’s Sharon Davies, agrees about the importance of the mobile device in the recruitment landscape, but says there is more to it. “Twenty percent of all job applications are already coming via a mobile device. Businesses need to look beyond that, however, and think bigger picture than just placing an ad on a job board. What other tools are available to you to search for talent – quantifiable talent? “Are there databases of candidates you can tap into and search by skill (such as typing, sales skills, data entry skills etc). Do you have networks you can use to get word-of-mouth referrals on potential candidates?